The weather here in Plett has been amazing these past few days. Methinks a big storm is coming soon… (Why do we always talk about the weather? 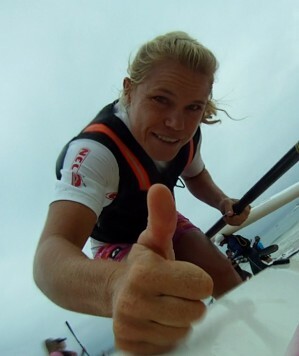 I suppose as a paddler it really influences my day, when and how I will train). Paddled on the Goukamma River just outside Buffel’s Bay yesterday. Solid, honest interval session. The first one in a while, as I have been trying hard to re-establish my aerobic fitness that I felt I lost with all the flu and travelling. Was interesting that I felt good for the first part, then died a slow and painful lactate death in the middle, and then recovered to throw a few final good ones out there. After a quick recovery, I raced the local Crab’s Creek race. Knysna and Plett Canoe Clubs have a winter Canoe Series, and a Summer Ski Series. Good racing at great venues along the Garden Route. I felt the morning’s session in me, but still enjoyed the racing. The new owners of Crab’s Creek have renovated the place, with a jungle gym for the kids and lots of TV’s to watch the rugby:) Looks great. Watched the French Open Women’s Final last night. Wow, what a match. I had my money on Stosur after her fight to get to the final, taking out lots of top seeds along the way. I was actually stoked that Schiavone took it in the end, as she is 29, this was her first Grand Slam final, and she played unbelievably well, attacking the ball, and all with a “nothing is impossible” attitude like her supporters’ t-shirts said. Inspirational, and I can learn a lot from how she handled her self in the game. That’s it from me. Have a great week.